There can be nothing more frustrating than fitting a Valve to find the new Valve Leaking. The understandable assumption is that the New Valve is faulty. However this is rarely the case. Valves are precision engineered and manufactured in large quantities for new Taps. So if one valve was faulty all the new Taps that contained same production batch would be faulty as well. 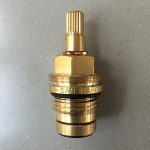 All the Taps that use the Valves sold on this website are tested prior to shipping which is why we are confident that a new valve leaking is usually due to other reasons. Nevertheless, as we aim for excellent Customer Service, we would dispatch a replacment Valve Free of Charge. And of course, all our Valves are Genuine and sourced directly from the manufacturer of the Taps that they relate to. 1) Debris inside the Tap: What can affect the performance of a valve, and also would have affected your original one, is if there is/was debris inside the tap. That would have caused your original one to fail but it can also have permanently damaged the mechanism inside your tap (see below) even though it has been replaced. 2) Running Water: is most often caused by the seating washer (at the base of the tap valve) from the original part having been left in the tap, this washer should ideally come out when removing the original cartridge however this is not always the case, there are also other parts of a tap cartridge that could be left in your tap (there is a danger that any new cartridge could be damaged by a part left behind when removing the old cartridge so always look inside the tap for any loose parts before inserting the new part). 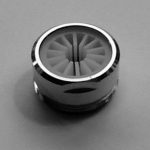 3) Dripping: dripping can be caused by the aforementioned but more likely is the presence of some foreign matter between the metal seating in the base of the tap and the seating washer at the base of your new cartridge. It is recommended that a shot of compressed air is blasted across the metal seating and the seating washer visually checked for foreign matter prior to installation. 4) Post Installation: After installation any problems will almost certainly have been caused by your water supply having (carried some very small foreign matter which has) scoured the discs, or the discs having moved position (usually caused by over tightening during installation (fairly unlikely) and/or over rotation of the tap when turning it on or off (quite likely). 5) Untimely repair of Tap: Also please note that sometimes if a tap is left continuously drip or a cartridge is becomes stiffer and is left before replacing, then it can cause irreparable damage to the tap itself that no valve or cartridge can fix. 6) Valve over tightened on Installation: Unfortunately if this happens the o rings on the valve are damaged and then the new Valve will drip. I would remove the valve again and check inside the body of the Tap for any debris etc. as recommended above and try again. 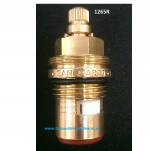 If you have purchased a Valve from us we will dispatch a FOC replacement to you. 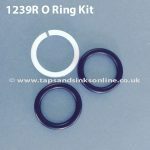 At Taps and Sinks Online we appreciate that it can be difficult to identify a Spare Part or know how to install it once you have purchased it from us. We have compiled a Helpful Tips Section of the most common queries and answers which we hope will be of use to you. Please feel free to contact our Team sales@tapsandsinksonline.co.uk if you have a query that is not dealt with in this section. Please Order via our Store Online. We ship thousands of spare parts daily and we have found that we can offer you, our valued customer, a more efficient and fast service if you purchase from us Online (i.e. via Our Store). 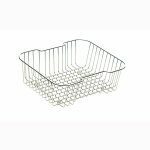 This ensures that you receive the correct Order as quickly as possible. The cost of the product is clearly shown on the Part itself together with Shipping times. You can pay by Card or PayPal. Whichever is the most convenient for you. Thanks for your reply, I have removed the valve as recommended checked for any debris or damage to both the valve and tap body.There was no evidence of damage or debris, so I reassembled the valve to the tap without over tightening turned on the water and unfortunately there is still a drip. HI Tony, I dont know why that happened but as per our own warranty, I am sending you a replacement FOC.